Please leave any special requirements in the ‘Order Notes’ section of the checkout. 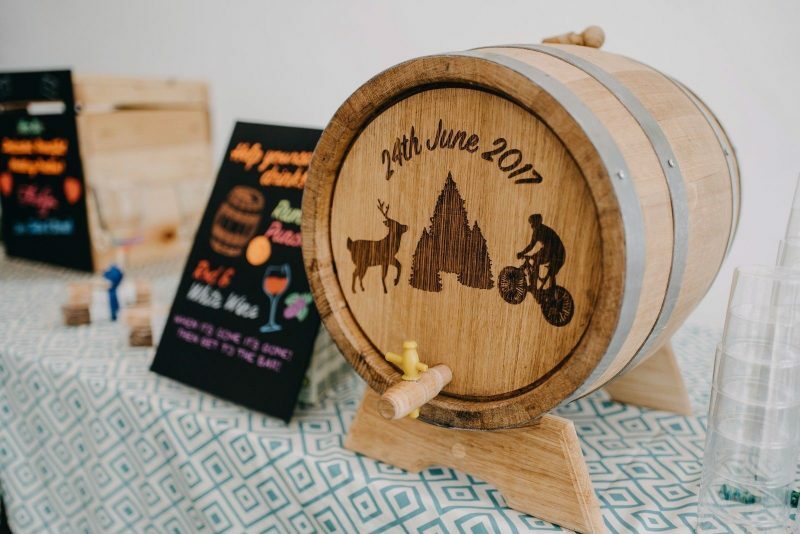 Celtic Timber’s solid oak barrel kegs have been handmade using traditional methods. 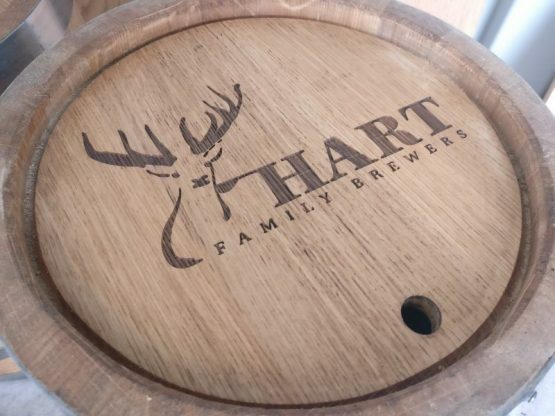 Our high-quality oak barrel kegs are equipped with their own stands, a working tap and a stopper. 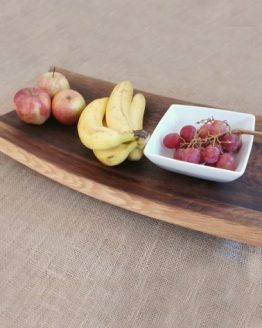 They are suitable for both serving or ageing drinks including wine, cider and spirits. 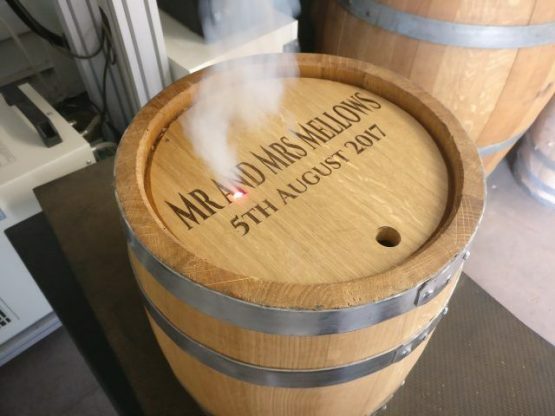 The staves of these oak barrel kegs have medium toasting level, which provides a mild oak flavouring to stored drinks. 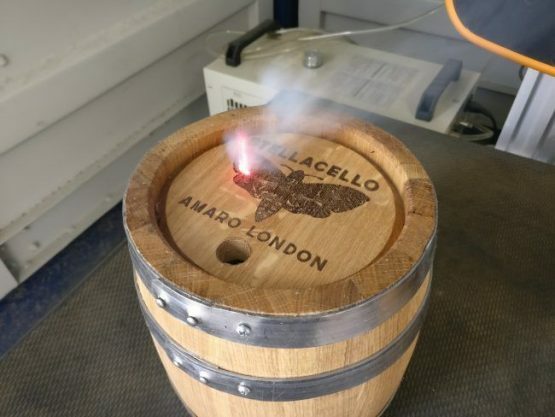 The exterior of this barrel has been coated with beeswax to provide excellent protection against the elements as well as ensure an aesthetic, high-quality finish! 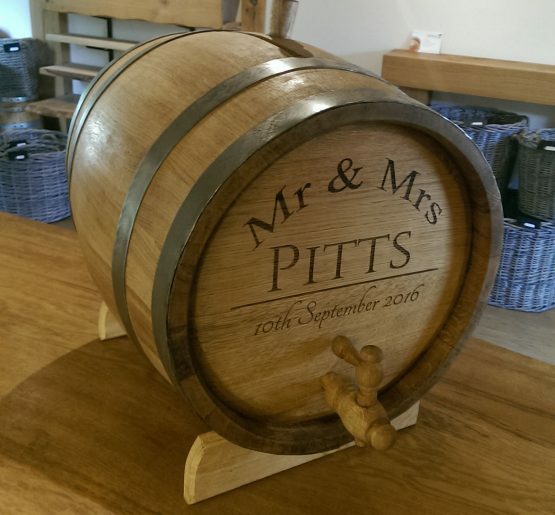 Perfect as a wedding drink dispenser, especially when engraved with the date and something personal. 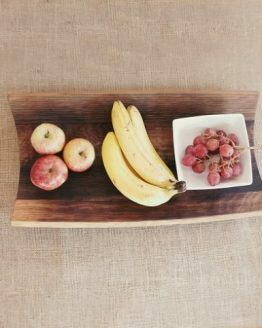 Note: Before you fill the barrel with any type of drink/alcohol you should fill it with warm water and leave soak for 24 hours. Any engraving will be on the barrel end. 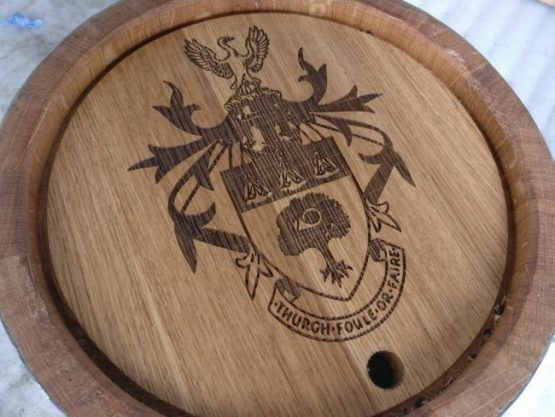 Please call us for a quote for engraving on the barrel’s belly. 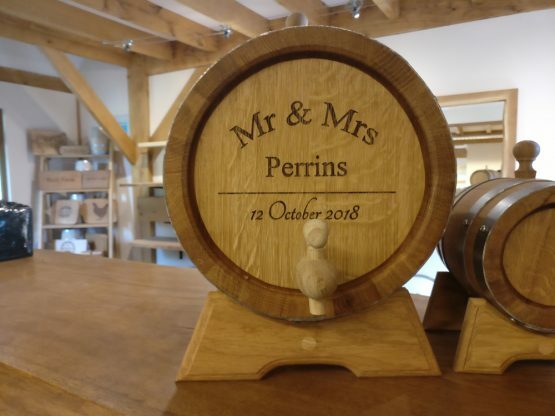 You may find that the barrel will leak slightly when you first fill it with water – this is perfectly normal and will stop as the oak swells, this is because there is no glue used in the joints of the barrel as in accordance to traditional coopering methods. 1L: Length: 18cm, diameter: (at the belly): 16cm, (barrel head): 14.5cm. 2L: Length: 21.5cm, diameter: (at the belly): 19cm, (barrel head): 17.5cm. 3L: Length: 24cm, diameter: (at the belly): 18.5cm, (barrel head): 15.6cm. 5L: Length: 27cm, diameter: (at the belly): 22cm, (barrel head): 18.3cm. 10L: Length: 33cm. diameter: (at the belly): 28.5cm. (Barrel head): 24cm. 15L: Length: 37cm. diameter: (at the belly): 30cm. (Barrel head): 27cm. 20L: Length: 39cm. 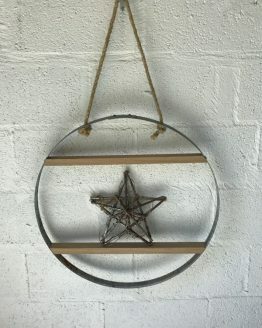 diameter: (at the belly): 35cm. (Barrel head): 30cm. 30L: Length: 45cm. diameter: (at the belly): 38cm. (Barrel head): 34cm. 40L: Length: 48cm. diameter: (at the belly): 41cm. (Barrel head): 36cm.